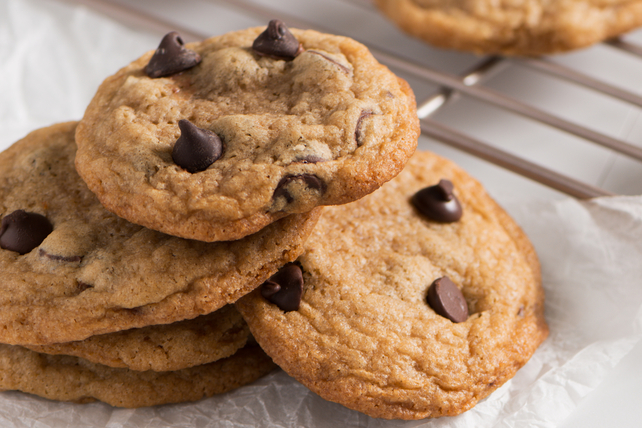 This is our go-to chocolate chip cookie recipe. 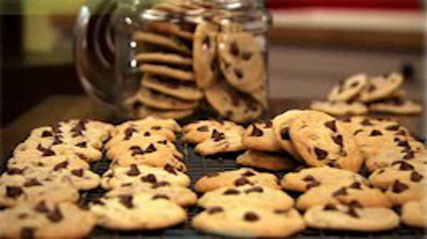 When you have a craving for a classic chocolate chip cookie, bake up a batch of these! Bake an extra batch of cookies to share! Place the cooled cookies in Ziploc® brand Freezer Bags with the Smart Zip® Seal and store at room temperature up to 3 days, or freeze up to 3 months. Add 1 cup (250 mL) quick-cooking oats, flaked coconut or chopped pecans or walnuts to the cookie dough with the chocolate chips. For easy-to-make Easter treats, press 3 Cadbury Mini Eggs into each ball of dough on baking sheet before baking as directed. You will need 2 pkg. (188 g each) Cadbury Mini Eggs to make this recipe.